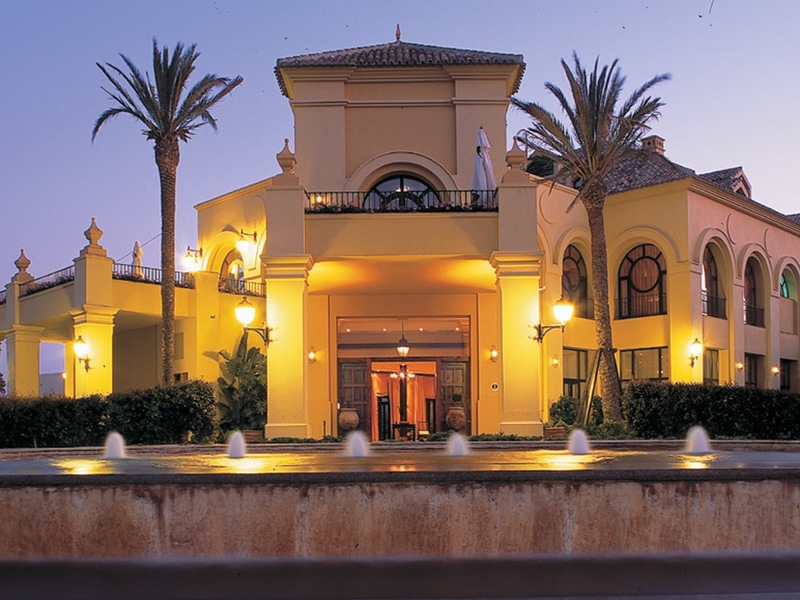 The Hotel Almenara is in a peaceful green location in exclusive Sotogrande. 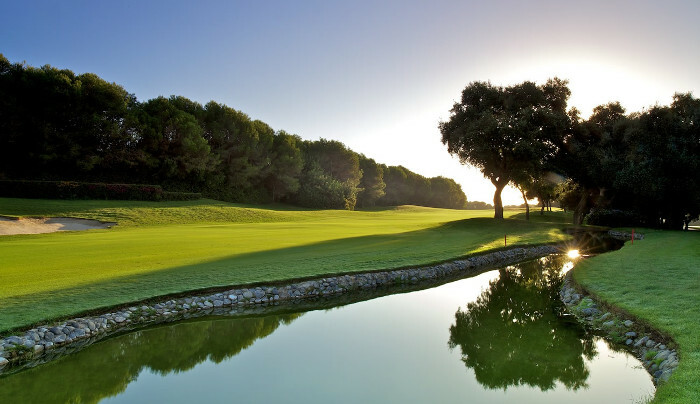 It’s set on a hill in the heart of a golf course with great views across to the Mediterranean. A short drive takes you to the marina, which is lined with bars and restaurants. The hotel is 10km from the beach and 15-minute drive to the marina and sits in a quiet setting surrounded by golf courses and countryside. 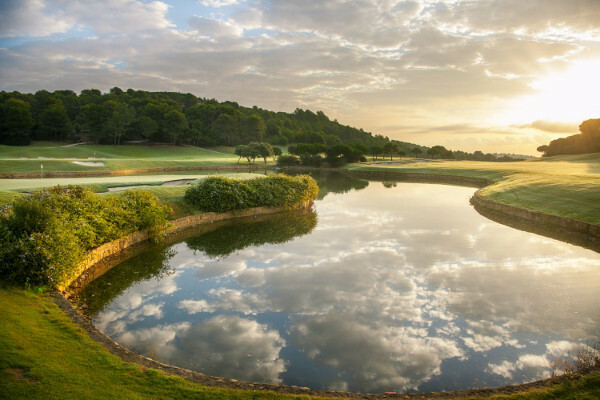 There are 145 rooms set out in terraced villa-style buildings, giving fantastic views across the golf course, gardens and onto the sea. The rooms are decorated in warm, Mediterranean-style colours, with a balcony or terrace. You can choose from Superior, Junior Suite or Suite and we have 2 dining venues – both of which come with a terrace and fabulous view. You can also sit outside at our modern bar. 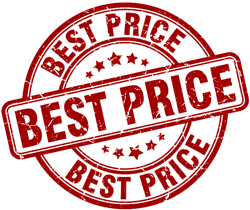 There is a large gym with a great selection of equipment plus spa for health and beauty treatments (over 16s only) and a lovely outdoor pool with sunbathing area. 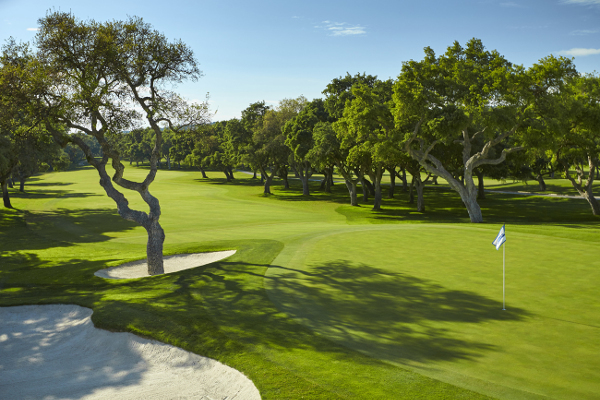 Valderrama Golf is the jewel in the crown here in Spain and arguably Europe. 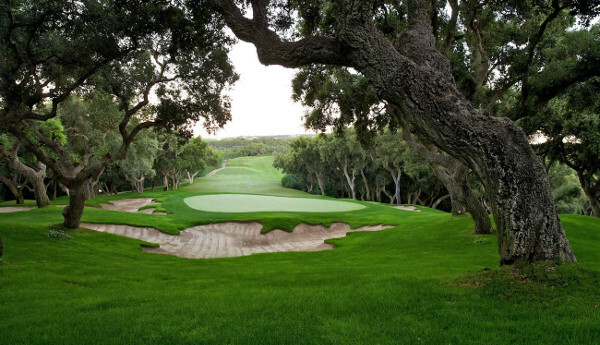 The course is completely covered in cork tree over lapping the lush green fairways making some driving and approach shots very difficult indeed, but then you wouldn’t want this golf course to be easy! 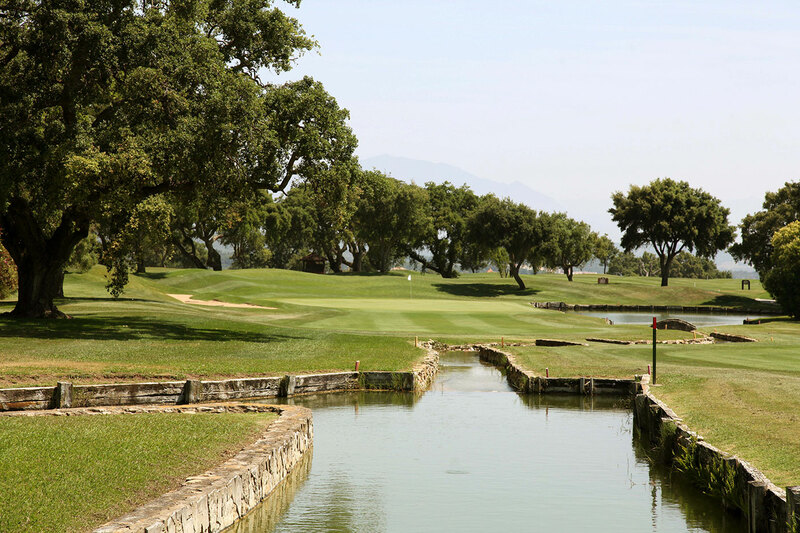 You get a feeling when you stand on the 1st tee and the starter announces the start of what is an amazing round of golf that you are standing where “Sevi” stood and many other greats of the golf world and that is why playing Valderrama is a must for any golfer. 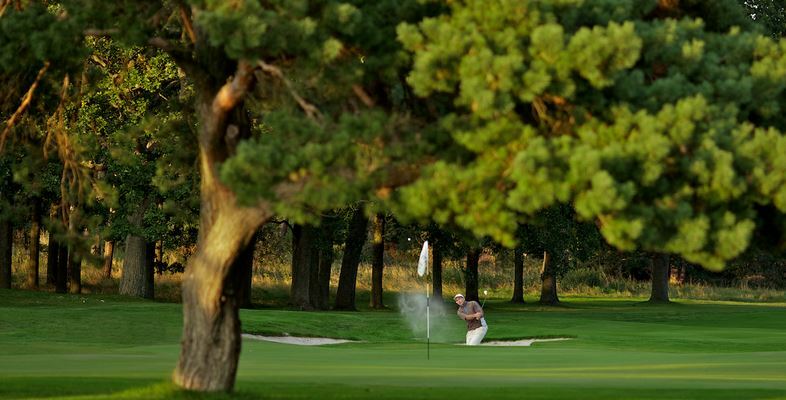 The fairway are inviting and fair but you have to pay attentions to the course planner otherwise after hitting what you might think is a great shot….be disappointed to find your shot has left you without a clear shot to hit the green in 2 say on a par 4, remember BUY A COURSE PLANNER! The 4th par 5 is one of the nicest holes i have played with the beautiful cascade of water running along and up the side of the rather small green and if you hit that you will be very pleased. 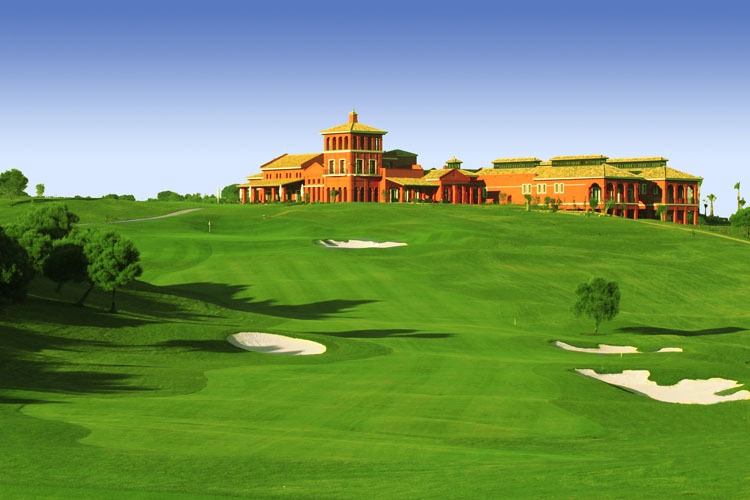 The San Roque Club is one of the best golf courses in Spain not just the Costa del Sol and is of the highest tests of golf you will find. 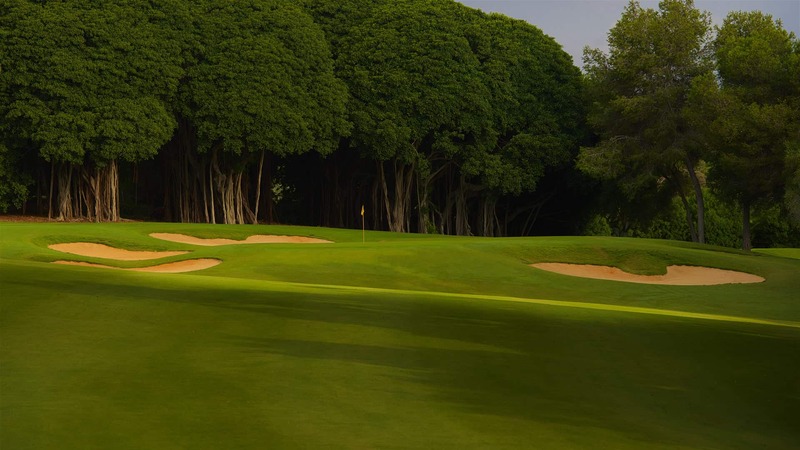 6494 metre par 72 at the foothills of the Sierra Bermeja, where the mountains meet the sea, is a legendary home for European golf, the old course is rated amongst the finest in the world. 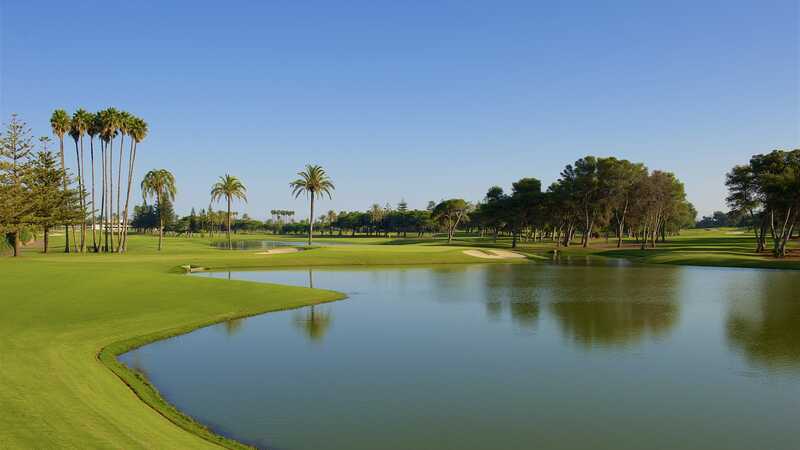 The club also offers all the facilities you’d expect of the finest and most exclusive meeting place on the Costa del Sol. with four very different restaurants serve up a stunning array of high-class cuisine, from Japanese to tapas. 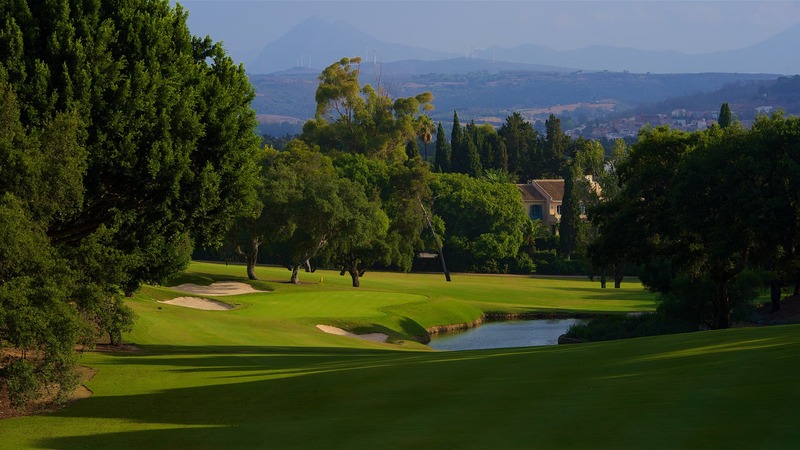 Below is the 18th Hole at San Roque, this is one of the best finishing golf holes on the coast del sol. 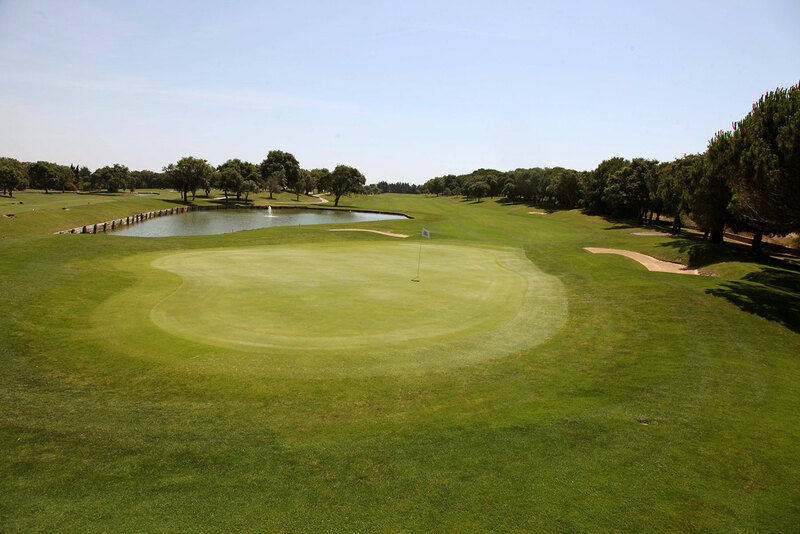 Par 4 with 2 lakes to go over before making your final putts of the day.